Happy Hour Friday at Bar Louie's. 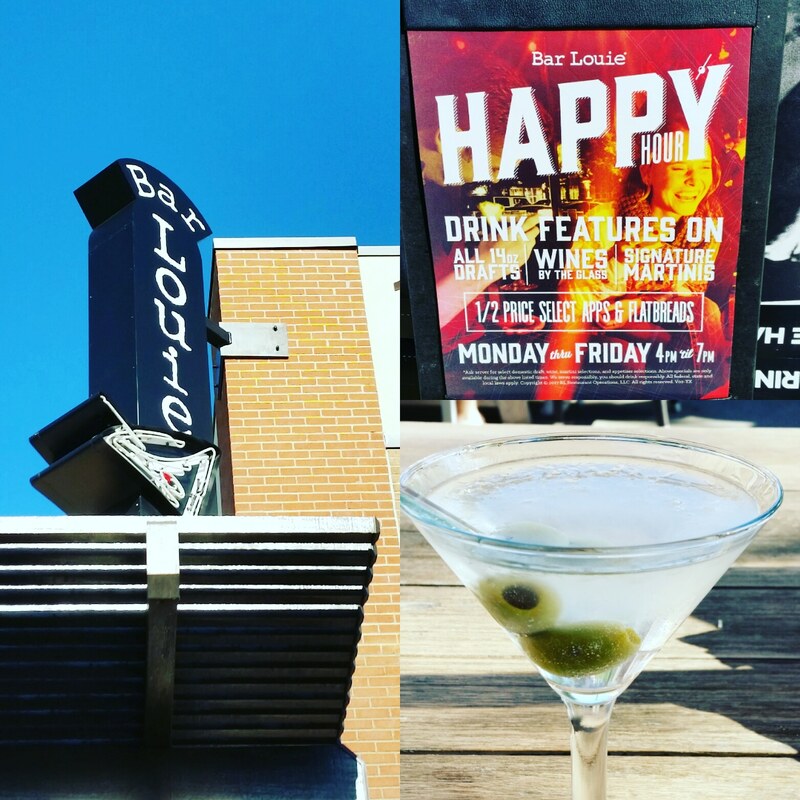 No wine, just a Ratpack Martini and tasty appetizers! Chillin' in the backyard after completing yard work... mowed and trimmed the lawn, grillin' beef fajitas and having a glass of red wine - Corbett Canyon's Pinot Noir, while watching the Corgi do nothing! 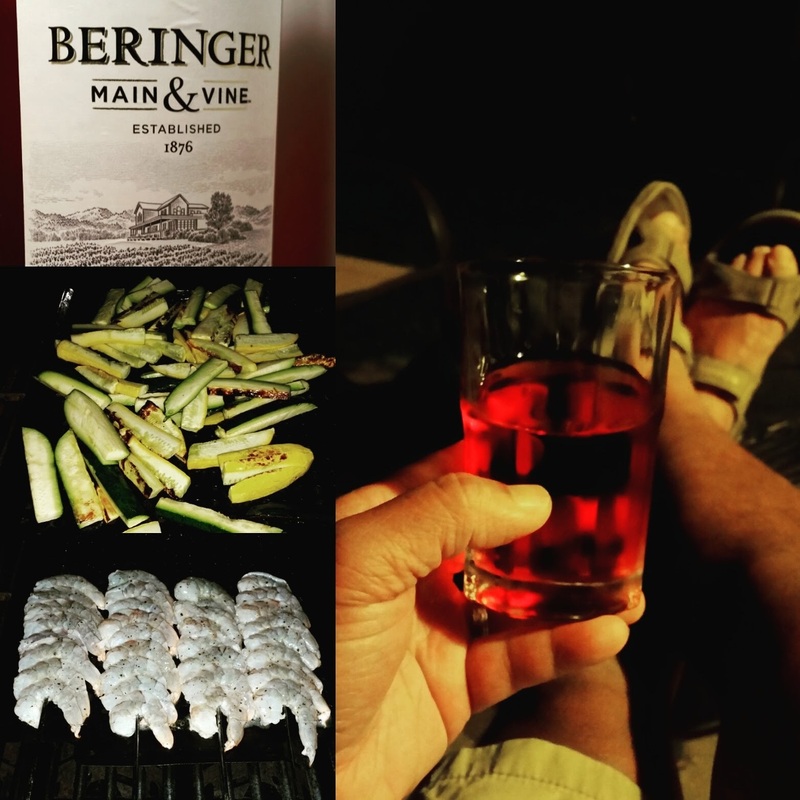 My life is good as well as the tasty Pinot Noir. Don't let the screw top cap fool you. 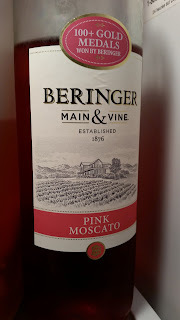 the Winos give this one a Good Rating. PS: $8 for the big bottle, too! Had a great time at the Arts In Bloom Festival in Historic Downtown McKinney today. Enjoyed good food, great music, lots of arts and crafts... and our favorite... wine tasting. The Winos were joined today by a guest... the Sweet Wine Wino, so the Team decided to find a tasty red wine and purchase a bottle for later enjoyment! So many choices but luckily, a decision was made... First Kiss Sweet Red Wine from Kissing Tree Vineyards in Eddy, TX. 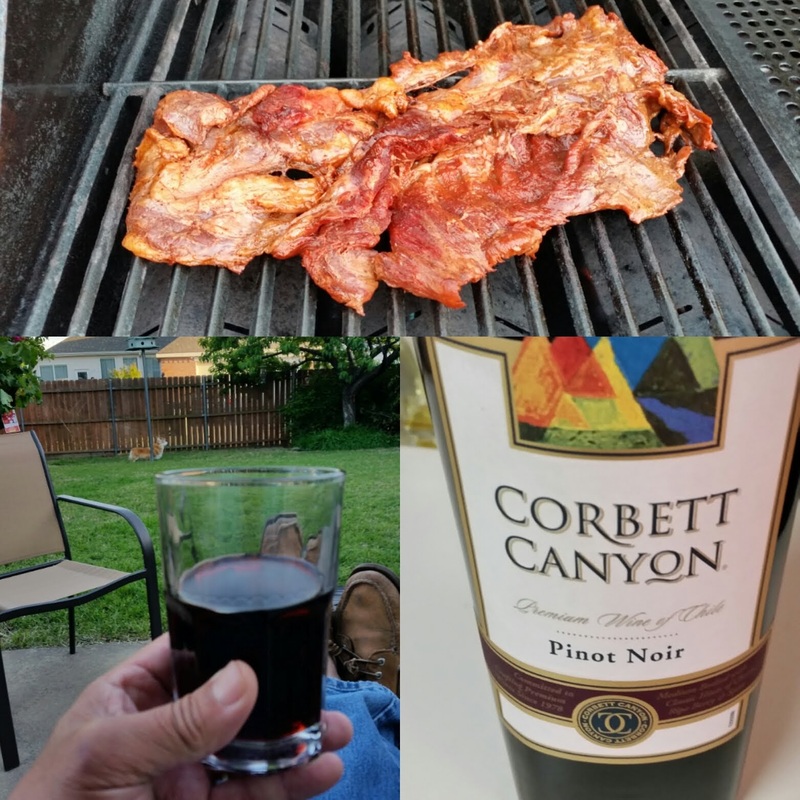 Do give this one a try... we understood the wine if offered in Texas at HEB and Central Market Grocery Stores! 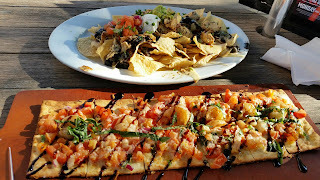 Stopped at Willhoite's Garage Bar in Grapevine the other day to meet up for Dinner with others. 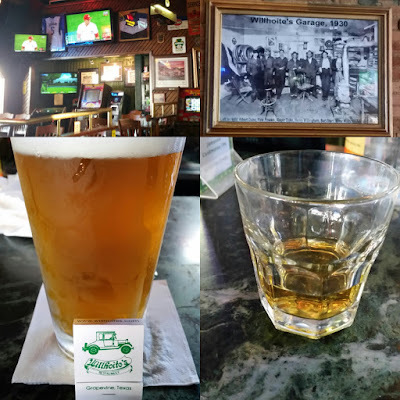 Happy Hour was in full swing; decided to try the Dallas Blonde Ale, and then a little Bushmill's served neat! Was a nice way to chill for the day while waiting for the others. 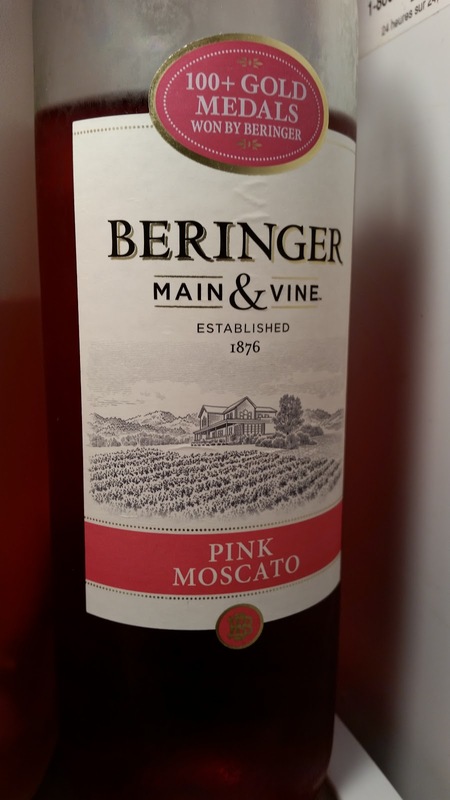 Beringer Pink Moscato from Beringer Main and Vine gets a Good Rating from the Winos. Sweet so the White Wine Wino liked it; Red Wine Wino liked it too! Went well with grilled shrimp and vegetables!